When a system fails, IT is on the hook to restore data and applications immediately. However, statistics show it takes an average of 18.5 hours to recover data after an outage, and 50 percent of restores end in a loss of critical information. With downtime costs running approximately $5,600 per minute, the stakes are high. 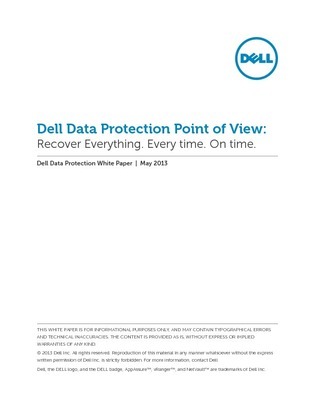 This informative paper examines a data protection solution that’s built for today’s IT and can help you get back up and running after system downtime ASAP. Read on to learn more.